Hauskaa lauantaita, tervetuloa Allsorts haasteen pariin! Lisää korttiisi tagi tai tee pelkästään tagi. Ja haaste kestää taas kaksiviikkoa! Hi; Happy Saturday, it's time for a new (two weeks) Allsorts Challenge! 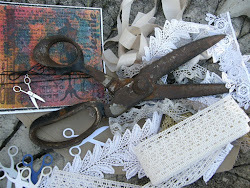 "Tags - or tags on cards"! That's a very sweet image Mervi and what a fun way to include your tag. What a great way to add a tag to the card! And so loving this beautiful image! Fabulous design as always! 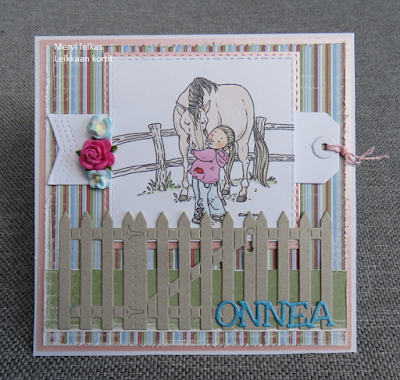 Love the idea with the tag and a really lovely card, great design and sweet image. Great idea to place the tag like that! Fun design concept to incorporate a tag without it being ‘in the way’. Sweet.